As it turns out, Tesla, and its battery partner Panasonic, started production of cells for qualification at the plant in December, but today, it confirmed the start of “mass production” of the new battery cell, which will enable several of Tesla’s new products, including the Model 3. The new cell is called ‘2170’ because it’s 21mm by 70mm. It’s thicker and taller than the previous cell that Tesla developed with Panasonic, which was in an ‘18650’ cell format. Tesla CEO Elon Musk has been boasting about the new cell over the past few month. He said that it’s the “highest energy density cell in the world and also the cheapest”. In the FastStorageBW II project, funded by the Baden-Württemberg Ministry of Economic Affairs, researchers from the Fraunhofer Institute for Manufacturing Engineering and Automation IPA in Stuttgart, together with colleagues from the battery manufacturer VARTA AG and other partners, are developing a powerful hybrid storage system that combines the advantages of lithium-ion batteries and supercapacitors. “The PowerCaps have a specific capacity as high as lead batteries, a long life of ten to twelve years, and charge in a matter of seconds like a supercapacitor,” explains Joachim Montnacher, Head of the Energy business unit at Fraunhofer IPA. What’s more, PowerCaps can operate at temperatures of up to 85 degree Celsius. They withstand a hundred times more charge cycles than conventional battery systems and retain their charge over several weeks without any significant losses due to self-discharge. “Supercapacitors may be providing an alternative to electric-car batteries sooner than expected, according to a new research study. Currently, supercapacitors can charge and discharge rapidly over very large numbers of cycles, but their poor energy density per kilogram —- at just one twentieth of existing battery technology — means that they can’t compete with batteries in most applications. That’s about to change, say researchers from the University of Surrey and University of Bristol in conjunction with Augmented Optics. The Fraunhofer IPA researchers’ main concern is with manufacturing: to set up new battery production, it is essential to implement the relevant process knowledge in the best possible way. After all, it costs millions of euros to build a complete manufacturing unit. “We make it possible for battery manufacturers to install an intermediate step – a small-scale production of sorts – between laboratory production and large-scale production,” says Montnacher. “This way, we can create ideal conditions for large-scale production, optimize processes and ensure production follows the principles of Industrie 4.0 from the outset. Because in the end, that will give companies a competitive advantage.” Another benefit is that this cuts the time it takes to ramp up production by more than 50 percent. Stepping into the lab cluttered with computer screens, jars of chemicals, beakers, and other equipment, Nate handed me a pair of safety goggles and offered some advice for what I was about to see. “Everything we do is simple in the end, even though there’s lots of complicated stuff,” he said. What’s simple is the idea behind all of his team’s research: The sun is the most reliable, plentiful source of renewable energy we have. In fact, more energy from the sun hits the Earth in one hour than humans use in an entire year. If we can find cheap and efficient ways to tap just a fraction of its power, we will go a long way toward finding a clean, affordable, and reliable energy source for the future. We are all familiar with solar panels, which convert sunlight into electricity. As solar panel costs continue to fall, it’s been encouraging to see how they are becoming a growing source of clean energy around the world. Of course, there’s one major challenge of solar power. The sun sets each night and there are cloudy days. That’s why we need to find efficient ways to store the energy from sunlight so it’s available on demand. Batteries are one solution. Even better would be a solar fuel. Fuels have a much higher energy density than batteries, making it far easier to use for storage and transportation. For example, one ton of gasoline stores the same amount of energy as 60 tons of batteries. That’s why, barring a major breakthrough in battery technology, it’s hard to imagine flying from Seattle to Tokyo on a plug-in airplane. I’ve written before about the need for an energy miracle to halt climate change and provide access to electricity to millions of the poorest families who live without it. Making solar fuel would be one of those miracles. It would solve the energy storage problem for when the sun isn’t shining. And it would provide an easy-to-use power source for our existing transportation infrastructure. We could continue to drive the cars we have now. Instead of running on fossil fuels from the ground, they would be powered by fuel made from sunlight. And because it wouldn’t contribute additional greenhouses gases to the atmosphere, it would be carbon neutral. Imagining such a future is tantalizing. Realizing it will require a lot of hard work. No one knows if there’s a practical way to turn sunlight into fuel. Thanks to the U.S. Department of Energy, Nate and a group of other researchers around the U.S. are receiving research support to find out if it is possible. We live in a time when new discoveries and innovations are so commonplace that it’s easy to take the cutting-edge research I saw at Caltech for granted. But most breakthroughs that improve our lives—from new health interventions to new clean energy ideas—get their start as government-sponsored research like Nate’s. If successful, that research leads to new innovations, that spawn new industries, that create new jobs, that spur economic growth. It’s impossible to overemphasize the importance of government support in this process. Without it, human progress would not come as far as it has. Nate and his team are still at the first stage of this process. But they have reason to be optimistic about what lies ahead. After all, turning sunlight into chemical energy is what plants do every day. Through the process of photosynthesis, plants combine sunlight, water, and carbon dioxide to store solar energy in chemical bonds. At Nate’s lab, his team is working with the same ingredients. The difference is that they need to figure out how to do it even better and beat nature at its own game. One of Nate’s students showed me how light can be used to split water into oxygen and hydrogen—a critical first step in the path to solar fuels. The next step would involve combining hydrogen with carbon dioxide to make fuels. Using current technologies, however, it is too costly to produce a fuel from sunlight. To make it cheaper, much more research needs to be done to understand the materials and systems that could create a dependable source of solar fuel. One idea his team is working on is a kind of artificial turf made of plastic cells that could be easily rolled out to capture sunlight to make fuel. 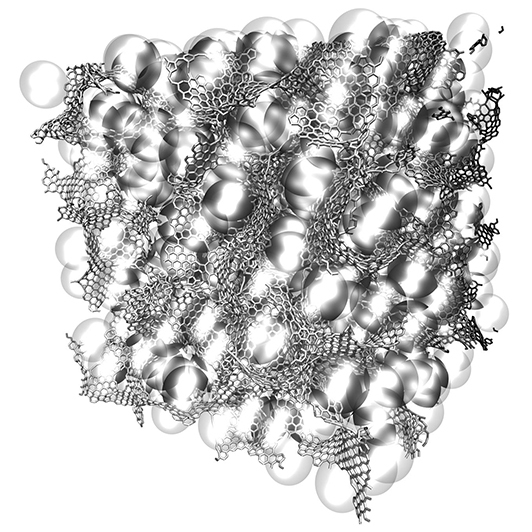 Each plastic cell would contain water, light absorbers, and a catalyst. The catalyst helps accelerate the chemical reactions so each cell can produce hydrogen or carbon-based fuels more efficiently. Unfortunately, the best catalysts are among the rarest and most expensive elements, like platinum. A key focus of Nate’s research is finding other catalysts that are not only effective and durable, but also economical. Nate’s interest in clean energy research started during the oil crisis in the 1970s, when he waited for hours in gas lines with his dad. He says he knew then that he wanted to dedicate his life to energy research. Now, he is helping to train a new generation of scientists to help solve our world’s energy challenge. Seeing the number of young people working in Nate’s lab was inspiring. The pace of innovation for them is now much faster than ever before. “We do experiments now in a day that would once take a year or an entire Ph.D. thesis to do,” Nate said. Still, I believe we should be doing a lot more. We need thousands of scientists following all paths that might lead us to a clean energy future. That’s why a group of investors and I recently launched Breakthrough Energy Ventures, a fund that will invest more than $1 billion in scientific discoveries that have the potential to deliver cheap and reliable clean energy to the world. While we won’t be filling up our cars with solar fuels next week or next year, Nate’s team has already made valuable contributions to our understanding of how we might achieve this bold goal. With increased government and private sector support, we will make it possible for them to move ahead with their research at full speed. “If they were to replace the batteries with these supercapacitors, you could charge your mobile phone in a few seconds and you wouldn’t need to charge it again for over a week,” said Nitin Choudhary, a UCF postdoctoral associate, who conducted much of the research, published in the academic journal ACS Nano. Cyclic stability refers to how many times a battery can be charged, drained and recharged before it starts to degrade. For lithium-ion batteries, this is typically fewer than 1,500 times. Supercapacitors with two-dimensional materials can be recharged a few thousand times. But the researchers say their prototype still works like new even after being recharged 30,000 times. A new company has been formed (with exclusive licensing rights) to exploit and commercialize the Next Generation Super-Capacitors and Batteries. 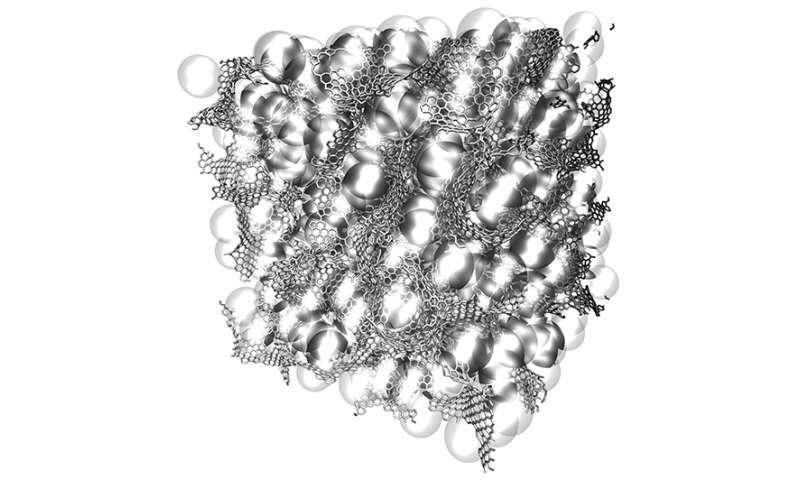 The opportunity is based on Nanoporous-Nickel Flexible Thin-form, Scalable Super Capacitors and Si-Nanowire Battery Technologies, developed by Rice University and Dr. James M. Tour, PhD – named “One of the Fifty (50) most influential scientists in the World today” is the inventor, patent holder and early stage developer. The IoT is populated with billions of tiny devices. Their numbers growing at 20%-30%/Year. The iOT is Hungry for POWER! All this demands supercapacitors that can pack a lot of affordable power in very small volumes …Ten times more than today’s best supercapacitors can provide. Problem 1: Current capacitors and batteries being supplied to the relevant markets lack the sustainable power density, discharge and recharge cycle, warranty life combined with a ‘flexible form factor’ to scale and satisfy the identified industry need for commercial viability & performance. Solution I: (Minimal Value Product) Tenka is currently providing full, functional Super Capacitor prototypes to an initial customer in the Digital Powered Smart Card industry and has received two (2) phased Contingent Purchase Orders during the First Year Operating Cycle for 120,000 Units and 1,200,000 Units respectively. Provides Fast Recharging, Extended Life Warranty. Small batteries will be produced first for Powered Digital Smart Cards (In addition to the MVP Super Caps) solving packaging before scaling up drone battery operations. Technical risks are mainly associated with packaging and scaling. The Operational Plan is to take full advantage of the gained ‘know how’ (Trade Secrets and Processes) of scaling and packaging solutions developed for the Powered Digital Smart Card and the iOT, to facilitate the roll-out of these additional Application Opportunities. Leveraging gained knowledge from operations is projected to significantly increase margins and profitability. We will begin where the Economies of Scale and Entry Point make sense (cents)! 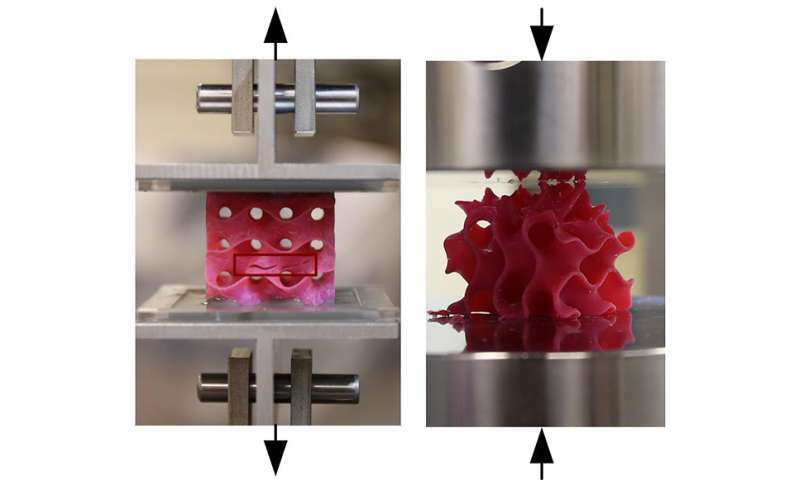 Other groups had suggested the possibility of such lightweight structures, but lab experiments so far had failed to match predictions, with some results exhibiting several orders of magnitude less strength than expected. The MIT team decided to solve the mystery by analyzing the material’s behavior down to the level of individual atoms within the structure. They were able to produce a mathematical framework that very closely matches experimental observations. The team was able to compress small flakes of graphene using a combination of heat and pressure. This process produced a strong, stable structure whose form resembles that of some corals and microscopic creatures called diatoms. These shapes, which have an enormous surface area in proportion to their volume, proved to be remarkably strong. “Once we created these 3-D structures, we wanted to see what’s the limit—what’s the strongest possible material we can produce,” says Qin. 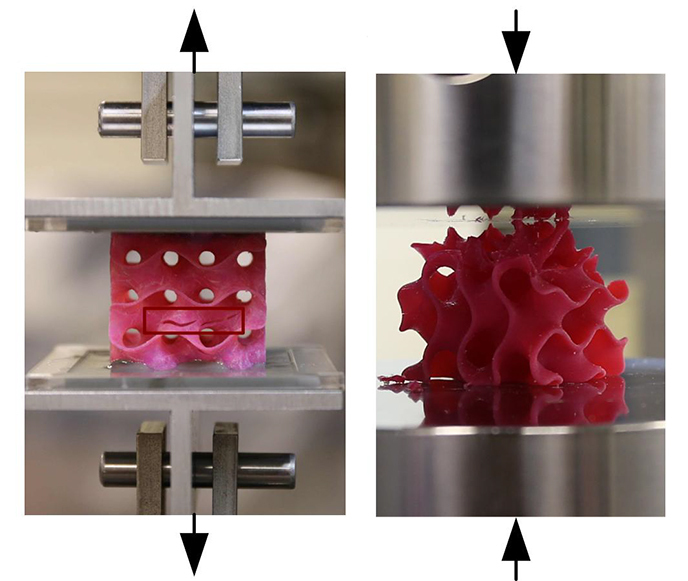 To do that, they created a variety of 3-D models and then subjected them to various tests. In computational simulations, which mimic the loading conditions in the tensile and compression tests performed in a tensile loading machine, “one of our samples has 5 percent the density of steel, but 10 times the strength,” Qin says. The new, more accurate results, based on atomistic computational modeling by the MIT team, ruled out a possibility proposed previously by other teams: that it might be possible to make 3-D graphene structures so lightweight that they would actually be lighter than air, and could be used as a durable replacement for helium in balloons. The current work shows, however, that at such low densities, the material would not have sufficient strength and would collapse from the surrounding air pressure. The unusual geometric shapes that graphene naturally forms under heat and pressure look something like a Nerf ball—round, but full of holes. 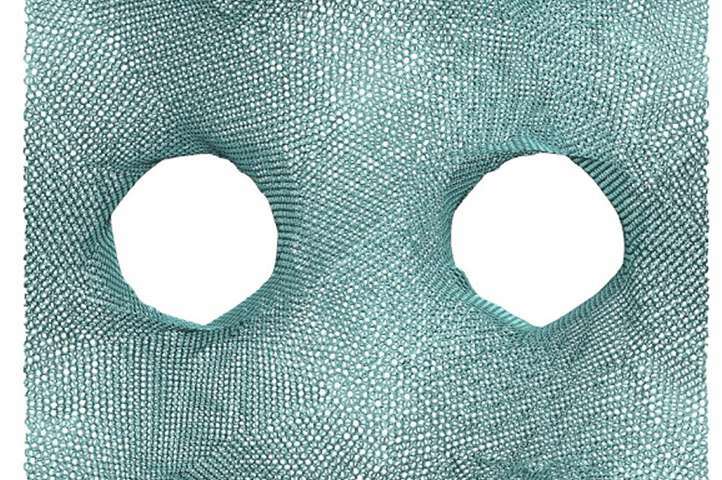 These shapes, known as gyroids, are so complex that “actually making them using conventional manufacturing methods is probably impossible,” Buehler says. The team used 3-D-printed models of the structure, enlarged to thousands of times their natural size, for testing purposes. 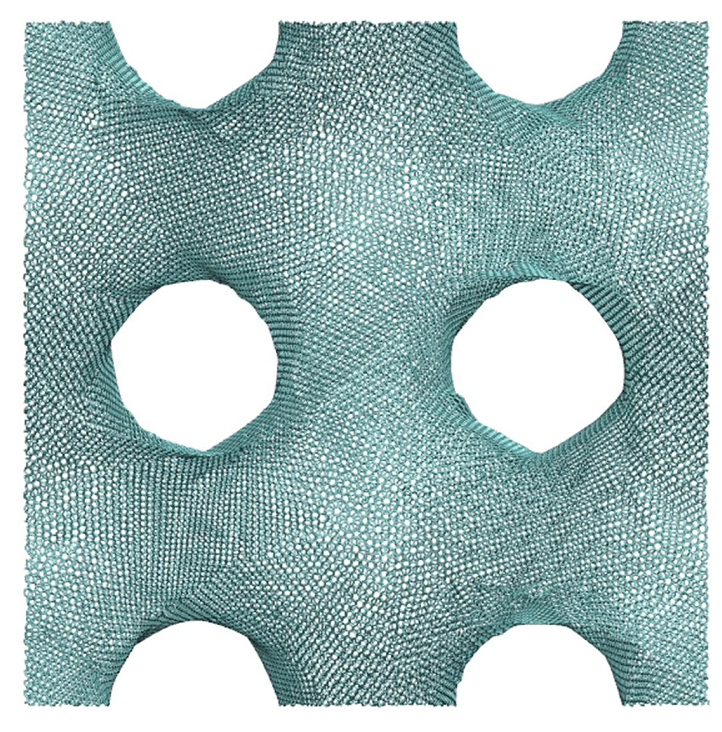 For actual synthesis, the researchers say, one possibility is to use the polymer or metal particles as templates, coat them with graphene by chemical vapor deposit before heat and pressure treatments, and then chemically or physically remove the polymer or metal phases to leave 3-D graphene in the gyroid form. For this, the computational model given in the current study provides a guideline to evaluate the mechanical quality of the synthesis output. Smart windows get darker to filter out the sun’s rays on bright days, and turn clear on cloudy days to let more light in. This feature can help control indoor temperatures and offers some privacy without resorting to aids such as mini-blinds.Now scientists report a new development in this growing niche: solar smart windows that can turn opaque on demand and even power other devices. The study appears in ACS Photonics (“Electrically Controllable Light Trapping for Self-Powered Switchable Solar Windows”). Smart windows get darker to filter out the sun’s rays on bright days, and turn clear on cloudy days to let more light in. This feature can help control indoor temperatures and offers some privacy without resorting to mini-blinds. Now scientists report a new development in this growing niche: solar smart windows that can turn opaque on demand and even power other devices. Most existing solar-powered smart windows are designed to respond automatically to changing conditions, such as light or heat. But this means that on cool or cloudy days, consumers can’t flip a switch and tint the windows for privacy. The researchers created a new smart window by sandwiching a polymer matrix containing microdroplets of liquid crystal materials, and an amorphous silicon layer — the type often used in solar cells — between two glass panes. When the window is “off,” the liquid crystals scatter light, making the glass opaque. The silicon layer absorbs the light and provides the low power needed to align the crystals so light can pass through and make the window transparent when the window is turned “on” by the user. The extra energy that doesn’t go toward operating the window is harvested and could be redirected to power other devices, such as lights, TVs or smartphones, the researchers say.